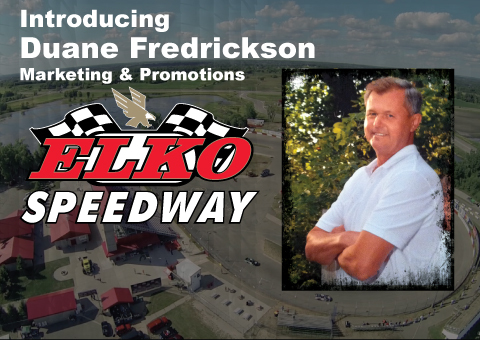 Elko Speedway today announced the hiring of Duane H. Fredrickson in the position of Marketing and Promotions. Duane will be working to assist companies large and small in maximizing their market presence through Elko Speedway. He will also be responsible for securing partnerships with corporations throughout the area to host their hospitality events at the track. Duane lives in rural Northfield with his wife Anne and their four children, Emilia (14), Eric (12), Ellie (9) and Kathryn (7). The best way to reach Duane is (612) 616-8133 or email DuaneF@ElkoSpeedway.com or just take the time to say Hi at any of the Elko Speedway events. We wish him the best of luck.